Dogs Bite Decatur Al: AKRON OH - CRIMINAL CHARGES RELATED TO CONTROLLING PIT BULLS HAVE BEEN FILED AGAINST DIANE YANKE 3 OTHER TIMES WITH SMALL FINES AND SUSPENDED SENTENCES GIVEN ...THIS TIME HER MEAT GRINDERS WENT ON A RAMPAGE MAULING 4 PEOPLE ...WHAT WILL AKRON DO THIS TIME? 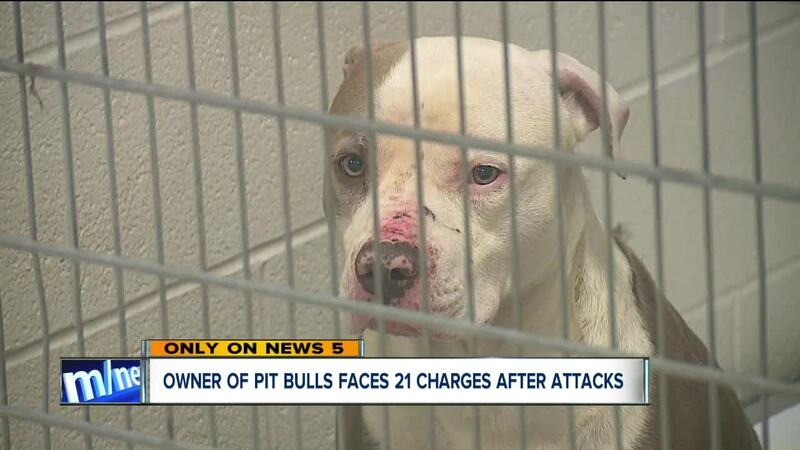 AKRON OH - CRIMINAL CHARGES RELATED TO CONTROLLING PIT BULLS HAVE BEEN FILED AGAINST DIANE YANKE 3 OTHER TIMES WITH SMALL FINES AND SUSPENDED SENTENCES GIVEN ...THIS TIME HER MEAT GRINDERS WENT ON A RAMPAGE MAULING 4 PEOPLE ...WHAT WILL AKRON DO THIS TIME? 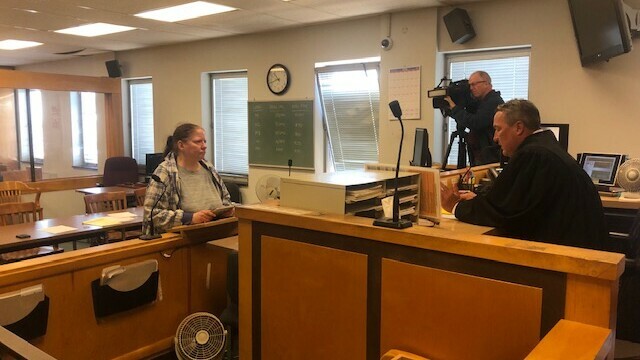 Diane Yanke, 58, has been charged with 21 misdemeanors, including five counts of having vicious dogs and three counts of serious physical harm/dog. Other charges related to Yanke not having insurance and not having the pit bulls secured, according to Akron City Prosecutor Gertrude Wilms. On Tuesday morning, Yanke appeared before Judge Jerry Larson for a pretrial hearing. Yanke indicated she is hiring an attorney. Another hearing was scheduled for April 26. Several people who were attacked by the dogs were also in the courtroom, including Sarah Friddle, a social worker. On March 4, Friddle stopped on Reed Avenue to visit a patient, but when she stepped out of her car, A PACK OF THREE ROAMING PIT BULLS charged after her and latched onto her body. She suffered multiple, deep bite marks on her legs. "They ate all the way through to the bone on my leg, ripped a muscle out of the back of my leg," Friddle said. A dog trainer in the neighborhood got the dogs off Friddle, but he was also attacked in the process. After that, a mailman was bitten. A few hours later, Betty Bennett, 57, was mauled by the same dogs shortly after she stepped off a bus near the intersection of Milton Street and Roscoe Avenue. She sustained severe bite marks on her arms and legs and hair was ripped from her scalp. "I just knew I was dead," Bennett told News 5 last month. "That's all I can say. I just knew they were going to kill me." Criminal charges, related to controlling pit bulls, have been filed against Yanke three others times since September. In one case, a 62-year-old man was bitten, suffering a puncture wound on his right arm. One case was dismissed. In the second case, Yanke was found guilty of having a vicious dog and for not securing a pit bull. She was given 180 days in jail, but the time was suspended. She was also fined $500. In the third case, Yanke was convicted of not securing a pit bull. Her 60-day jail sentence was suspended and she was fined $50. Friddle feels the owner has been given too many chances and the punishment hasn't been stiff enough. "Essentially doggie probation has done no good and it could have been so much worse. It could have been a child that was killed," she said. "I feel all of these attacks could have been prevented if the court had given any sort of real punishment in the past." Wilms understands Friddle's frustration and said prosecutors will review the case and talk with witnesses, the dog warden and the victims to see what more can be done. "I would like to make sure that we really take heed on that and make sure that it doesn't happen again with this particular owner," Wilms said. If Yanke is convicted again, Wilms said prosecutors may consider an additional recommendation of five years probation with the stipulation that Yanke not be allowed to have pets during that time. "At minimum, she shouldn't be allowed to own animals. She's proven herself to an irresponsible animal owner," Friddle said. BSL was working just fine in Ohio, and now we have this mess that was completely preventable. I do not comprehend why we allow irresponsible pit bull owners second chances. It's as if basic laws and ordinances are impossible to enforce.